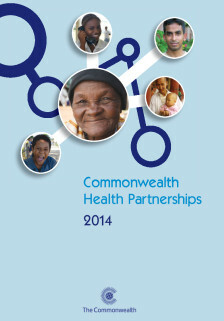 Commonwealth Health Partnerships 2014 is the essential overview of health in the Commonwealth. Launched at the annual Commonwealth Health Ministers Meeting (CHMM), the publication provides a guide to current issues in global health for ministers, senior officials and other stakeholders. Reflecting the theme of CHMM 2014, Commonwealth Health Partnerships 2014 focuses on health in the post-2015 development agenda, and Commonwealth priorities in strengthening national health policies and systems. The publication also includes extensive health profiles of the 53 Commonwealth member countries, incorporating up-to-date data on health systems and population health outcomes. The book has now launched. Click here to purchase!